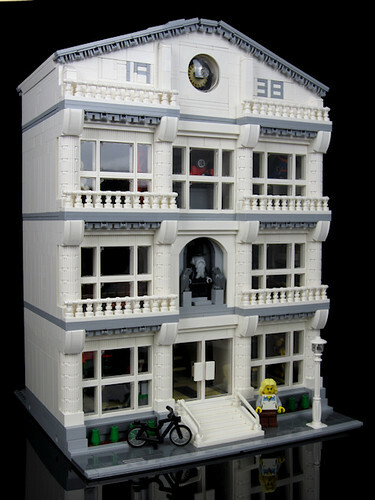 Brick Town Talk: Culture Chronicled - LEGO Town, Architecture, Building Tips, Inspiration Ideas, and more! Museum Mile - (BTT) Perhaps the hardest part about going to a museum is deciding which one is worth your time. While there are some good all-purpose palaces of the past out there, others are oddly specific - is it really worth spending your day at a place devotes solely to thimbles, corkscrews, or Spam (the meat in a can, not the emails promising to enhance your you-know-what). The Museum of History knows that variety is the spice of life and offers a whole host of interesting exhibits, from medieval costumes to Asian artifacts to air and space. This needs to be made into a set!! Can you please make instructions for this set? ?